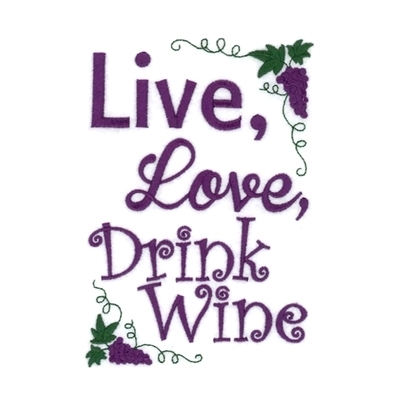 This fun saying is designed to be used on gift wine bags. A PDF instruction file is included to create your own bags using a standard sewing machine. Great for gifts! The photo shown is for example only. Finish Size 5.99" x 4.00"
This design is also available in a larger set. 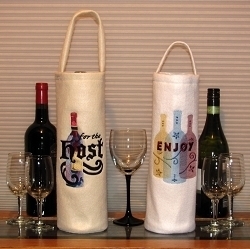 Just click on the "Wine Gift Totes 2 Set, 12 Designs - 5x7" link above in the "You might also like" section for more information.